Many businesses simply don't realize, or refuse to accept, just how stacked against them the deck really is on digital frontier, but a recent New York Times article shines some light into those dark corners of the digital landscape that no one wants to imagine are even there. Exposing new weaknesses, or zero day attacks, is big business in the hacker underworld, "and the ripple effect can have devastating consequences for any business, institution or agency out there," says Joe Caruso, founder and CEO/CTO of Global Digital Forensics. In an exposé published by the New York Times July 14, 2013, the black market world of hackers, and the zero day exploits being peddled daily, took center stage. It used to be that exploits was primarily hacker turf, but today everyone from cyber criminals, to corporations, to governments can be found pulling the trigger on the purchase of a zero day exploit. As CEO/CTO of Global Digital Forensics, a premier cyber emergency incident response provider, Joe Caruso and his team of expert responders have plenty of experience helping clients respond to a wide array of incidents directly related to those previously unknown vulnerabilities that eventually make their presence felt. For there to be a reaction, there first has to be an action. Welcome to the conundrum of zero day threats. So who are the players in the black market world of zero day exploits? An effective cyber incident emergency response plan is like having major medical coverage when a catastrophic event occurs. 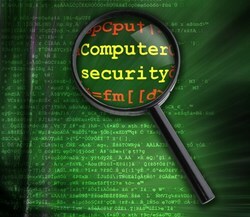 Global Digital Forensics can help with cyber security needs from A to Z and can tailor customized plans to suit the unique needs of any client, no matter how big or small. And with a hacker black market out there catering to anyone who wishes to leverage zero day exploits for whatever sinister agenda they may have, having a recognized leader in cyber security like GDF in the wings can make all the difference in surviving the onslaught.